Ilmari Tapiovaara designed the Lukki collection for the student dormitories of the Helsinki University of Technology. Composed of tubular steel with a seat, back, and armrests formed from pressed birch plywood, the Lukki Chair is all-purpose and highly versatile: stackable, lightweight, and hardwearing. 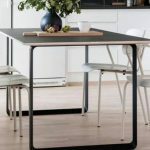 The short arms can be pulled close to a table, allowing for studying at a desk and dining, while offering the necessary support and comfort. 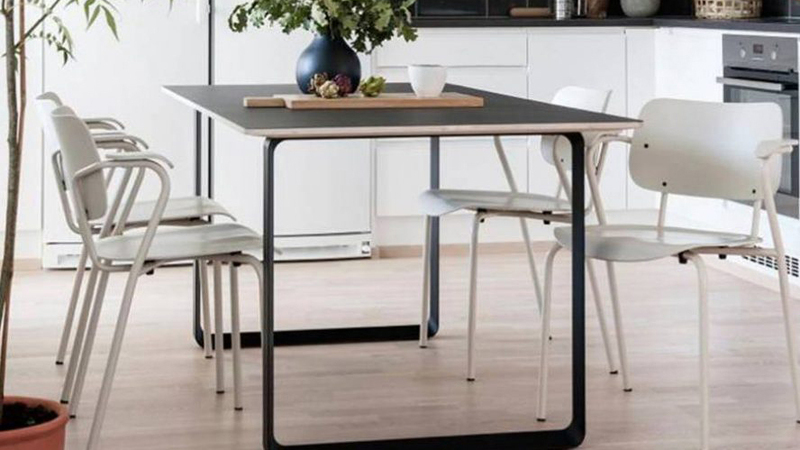 Lukki means “daddy longlegs” in Finnish, a name as whimsical as the chair is practical.